New Delhi, April 16: Indian women's cricket team captain Mithali Raj has been named the goodwill ambassador of Team India at the Street Child Cricket World Cup (SCCWC). She, alongside Saurav Ganguly and Rajasthan Royals, joins in supporting the team as they gear up for the final match at Lords, just ahead of the ICC Cricket World Cup in May this year. Mithali Raj Batting Record: List of Test, ODI and T20 Stats of Senior Indian Women’s Cricket Player. "As a woman cricketer, I am super thrilled to see that this tournament is gender equal- boys and girls will play together. Playing at Lord's is a dream for many, which has become a reality for these young champions and I look forward to following their game," she added. The two teams, India North and India South, are put together by Save the Children, HOPE Foundation, Magic Bus and Karunalaya. Geeta Venkadakrishnan, director, Hope Foundation added, "For the children, this comes as a lifetime opportunity to not just play the game at an international level, but also meet such legends of cricket and be taught the game by them. Their support will instil more focus, passion and commitment to the game". 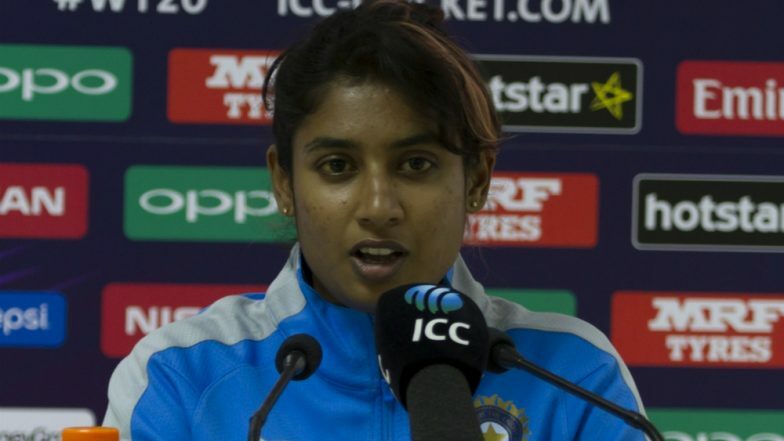 Mithali Named Indian Team's Goodwill Ambassador for Street Child Cricket WC.